In cities across the country, mobile apps are fundamentally changing the way people get around, and how they occupy their travel time. While the majority of commuters (70%) still rely on public transportation, mobile-first alternative modes of transportation are not far behind. 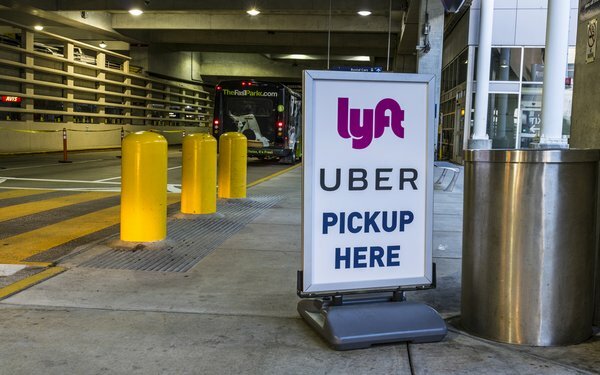 That’s according to a new report from London-based mobile ad agency Fetch, which found that 40% of U.S. urban commuters now rely on riding-sharing apps like Lyft, 10% rely on car-sharing apps like Zipcar, and 10% rely on bike-sharing apps like Scoot. Without including the 24% of commuters who split their time between private transportation and other modes of transport, that means 60% of urban dwellers can no longer get around without their smartphones. For its findings, Fetch recently surveyed 1,700 U.S. commuters using the Pollfish mobile survey platform. Respondents resided in New York City, San Francisco, Boston, Washington DC, Jersey City, Chicago, Philadelphia, Long Beach, Baltimore and Newark. How are people discovering these new modes of transportation? A full 50% of respondents said advertising turned them on to new mobile-first alternatives; 44% said they were recommended by friends and family; 31% simply saw them being used by other commuters; while 28% discovered the apps in an app store. The rate at which new transportation options are entering urban markets is remarkable. Indeed, 79% of respondents said now have access to mobile-first means of transport that were not available to them just a year earlier And, in general, people are giving these new options high rankings. Among all respondents, 77% said that new modes of transportation have made their overall commute easier and more convenient, while 71% said that they have improved the first and last miles of their commute. As for what traditional modes of transportation are being most impacted by the mobile wave, 48% of respondents said their use of public transport has been impacted by new mobile-first alternatives, while 40% said they are walking less as a result of these alternatives. As for what people are doing during their commute, chances are they’re doing it with a smartphone. In fact, smartphones are now the device of choice for getting directions; estimating travel times; researching and searching for transportation options; booking transportation; and entertaining themselves as they travel. In just two years, 50% of respondents said they’re reading more news on their phones; 59% said they’re spending more time on social media; 62% said they’re checking more email; 55% said they’re watching more video; 58% said they’re listening to more music; and 47% said they’re playing more videogames. In the study, commuters were defined as individuals who don’t rely solely on personal means of transportation for their daily commute.